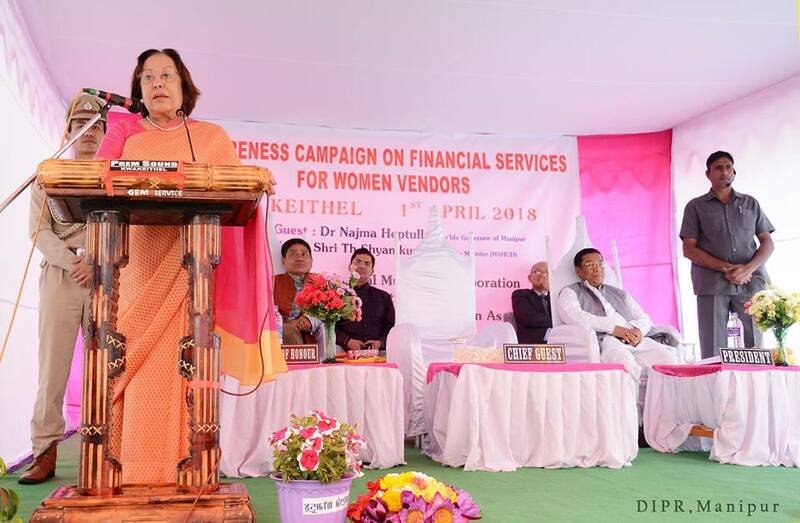 Governor of Manipur Dr. Najma Heptulla stated that women vendors can access financial assistance from the financial institutions and insurance companies in line with the Prime Minister’s financial inclusion policy and women empowerment. She was speaking as the chief guest at the awareness campaign on financial services exclusively held for the women vendors at Ima Keithel today. Ima Keithel which is the only market in the world run by all women is a place where equality is preached and practiced. She emphasized that the women vendors should reap full benefits from the Central Government flagship programmes such as Pradhan Mantri Jan Dhan Yojana, Pradhan Mantri Mudra Loan Yojana,Rashtriya Swasthya Bima Yojana, Pradhan Mantri Jan Suraksha Yojana and Pradhan Mantri Jeevan Jyoti Bima Yojana. She also informed that she has advised the State Government to initiate action for taking up robust welfare measure as the welfare of the vendors is of paramount importance. The Governor also stated that she had formal meetings with various representatives of Financial Institutions of the State to take a holistic look into the matter of credit support and strategize ways and means to help the vendors. Drawing concern on the problems faced by the street vendors, the Governor said that the Government and the public must address the problem together to bring an amicable solution. President of the function, MAHUD Minister Shri Th. Shyamkumar reiterated the importance of making Imphal city clean. 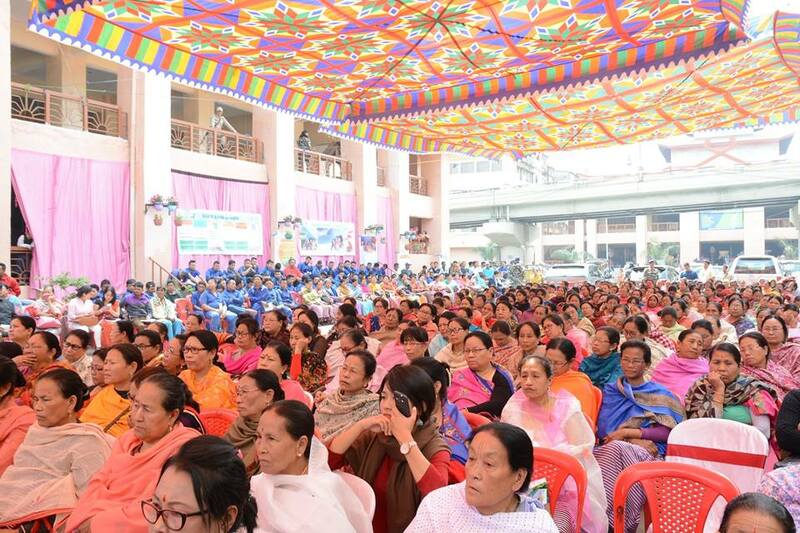 He stated that the women vendors and the public must take collective responsibility for preserving and maintaining the cleanliness of Ima Keithel and Imphal city. Khoibi, Assistant Manager, RBI spoke on the role of RBI in Financial Services and Grievance Redressal while A. Subhash Singh MCS MD, MSCB, spoke on the topic of Credit Linkage of women vendors. Ksh. Rameshwar Singh, Chief Manager, SBI, Th. Kiran Singh, District Development Manager, NABARD, Imphal also spoke as resource persons during the function. L. Lokeshwor Singh, Mayor, Imphal Municipal Corporation was the Guest of Honour of the function.